Looking for a sturdy, long-lasting roof for your home or business? Then a metal roofing system may be right for you. Below we discuss some helpful points on the advantages and disadvantages of a metal roof. This should make it easier for you to decide if a metal roof is the best choice for you. A correctly installed metal roof will last as long as the house itself! A metal roof seals out water, withstands high winds and lighter colors can even reflect heat away from your home. Metal is also resistant to damage from fire, mildew, insects, and rot. With such outstanding confidence in metal roofs; the typical warranty on a metal roof is usually between 20 and 50 years. Metal is significantly lighter than other durable roofing solutions such as tile. Metal roofs weigh approximately 50 to 150 pounds per square—an area defined as 100 square feet. Thanks to its relatively light weight, a metal roof can be installed over an existing roof without the need for any additional structural support. Metal naturally reflects the radiant heat of the sun. Thus minimizing the heat that is transferred to the inside your home through your roof. Naturally lowering your energy costs since your air conditioner will not have to work as hard to maintain a comfortable temperature. Metal roofing is very cost effective in the long run. It can also reduce the cost of your homeowner’s insurance, as well as increase the resale value of your home. Metal roofs require very little maintenance and are often eligible for Energy Star tax credits. Many people are soothed by the sound of rain tapping on a metal roof. Others find this noise to be distracting or downright unbearable. However, you can install materials to muffle the noise, such as structural barriers backed by sound-canceling insulation and plywood sheathing. Metal roofing costs as much as other premium roofing materials. You can expect to pay $350 to as much as $700 per square. 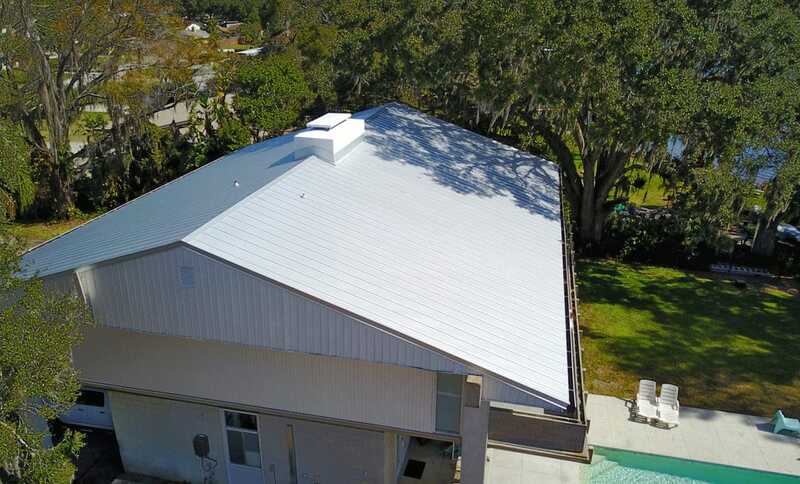 Although, a metal roof is considered by many, to be a long-term investment due to its durability, minimal need for maintenance, and its contribution to energy efficiency. A metal roof can sustain dents just like other metal materials. Especially if it experiences a significant hailstorm or heavy fallen branch. A metal roof consisting of aluminum or copper is more vulnerable to dents vs a metal roof made of steel. Want To Learn More About Metal Roofing? Whether you are considering a metal roof for your home or business, it needs to be installed by an experienced professional. R.I.G. Construction and Roofing has over 30 years of experience installing all types of roofs. To learn more about installing a metal roof or another roofing system, send us a message or call our office. (863) 294-4477 We will be happy to schedule you a consultation with one of our roofing professionals. R.I.G. 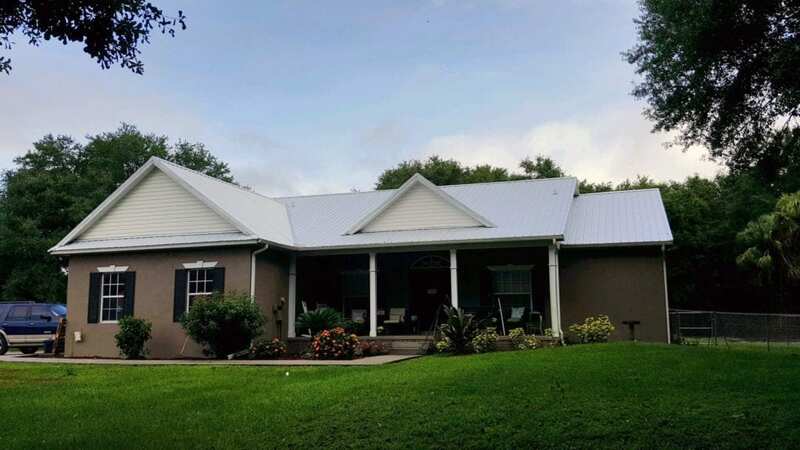 Roofing and Construction is here to serve customers in the Polk County area including Lakeland, Winter Haven, Haines City, Bartow and Davenport, Florida. This entry was posted in Blog, Metal and tagged metal advantages, metal disadvantages, metal roof, metal roofing, pros cons metal roofing. We’ll always tell you the truth: each roof is in a different stage of its life and we will help you to devise a plan that, if possible, extends the life of your roof....instead of just trying to sell you a new one. We Service the Greater Central Florida Area from Tampa to Orlando, & Beyond. Submit Your Info. We Will Be In Contact Soon! No Soliciting. Your IP address and email will be flagged and submitted for spamming.